The King Arms – X-47 AK Rail System is an all aluminum rail system which is a replica of the TDI rail system used on BHI SOPMOD AK series. I intalled this on my AK74 SOPMOD project. The King Arms X-47 is a CNC machined aluminum rail system. It has full X-47 markings and shipped with TDI replica rail covers. It is lighter in weight then my First Factory X47 Rail but is very comparable in buidl quality.There were some slgiht fitting issues, but they easily worked itself out. These are the Oakley – Flak Jacket Boots in Bark (Brown). These are in the Oakley’s Tactical Field Gear line which is different from Oakley’s S.I. (Standard Issue) Military Line. Most boots are fine for weekend warriors. When we designed FLAK JACKET?, we utilized innovations developed specifically for the armed forces. Tactical-to-practical includes breathable waterproofing and resilient shock absorption in a lightweight athletic design. FLAK JACKET? is aggressive technology in civilian trim that travels well in casual territory. 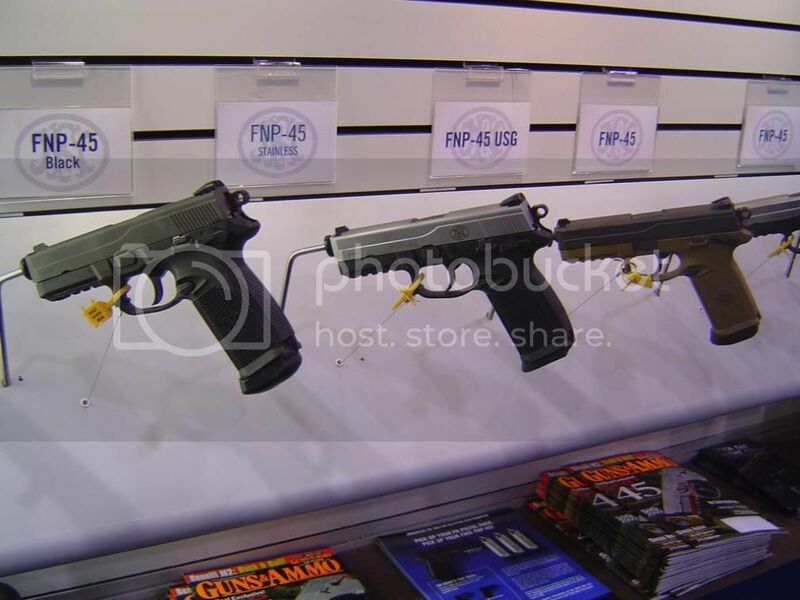 I first came across these at Shotshow 2007 and noticed they were finally on sale towards the end of 2007. I decided to get a couple of diferent sizes and see how well they worked out. I bought the 3 width and 5 width sizes, since they work with most of my gear. These clips come in 3,5,7 and 9 width sizes, in colors; Black, Coyote Tan, Olive Drab and Foliage Green. Speed Clips are made of a modern carbon-fiber polymer material that is strong, flexible and durable. These are the most versatile new pieces of MOLLE hardware available. ?Developed by BlackHawk’s R&D staff, these clips quickly mount or disconnect pouches and other gear quickly and efficiently – no more tedious weaving of bulky straps or hesitation at rearranging your kit for better ergonomics. ?These clips make that task easy. Tested in combat, they have proven to be both reliable and secure. Speed clips DO NOT RUST! 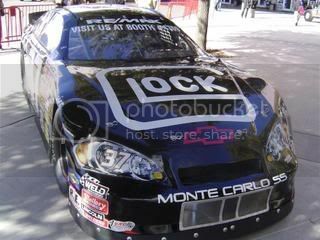 Just like the name, they are FAST! Click?Here To See The Speed Clips In Action. I’ve never been a big fan of airsoft MP5’s, which is why you’ll only see a few in my collection. But I’ve always liked the First Factory swordfish mod from a design standpoint. The left aluminum plate on the Swordfish frontend, needs to be trimmed to accommodate the cocking handle. The MP5K Hand guards front finger guard needs to be cutoff. The MP5K Hand guards Top right lip needs to be cut down. The rap4.com guys were kind enough to send over 1 of their Land Warrior System Wireless Camera systems (LWSC). The Unit itself is a self contained video camera system. Camera, AA Batteries and SD Card are contained in 1 water proof unit. It also has a Mini USB and AV Out ports and comes with related cables. It can take up to a 2Gig SD Card and can record 640×480 30frames per second video for about 1 hour of recording. The Camera also has a built in microphone. The RAP4 LWSC can mount to any 20mm rail system. Rap4 also includes a universal barrel mount kit, for other applications. The unit can be physically rotated in the mount to record at the proper angle, or you can rotate the video later in your favorite video editing program. The cameras controls are simple to use. But for initial setup I did need to reference the manual, but that holds true for me for most multi-function devices with limited buttons. When hooked up via Mini USB to your computer, the camera acts as an external storage device, giving you direct access to your avi files. The video format this records in is avi (for lack of a more detailed explanation), so it should be readable/editable by numerous systems/software. 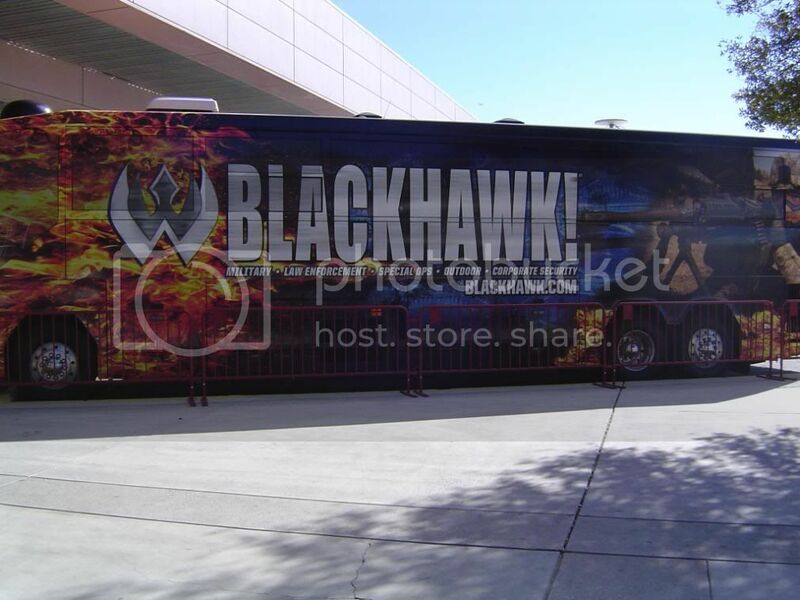 I had the good fortune that I was in Las Vegas this year and had passes to Shotshow 2008. Unfortunately I only had 4 hours to run through the show. It is estimated that the show covers over 25 miles if you walked each and every aisle. My main focus was on seeing the new Classic Army releases at the Spartan Imports booth. 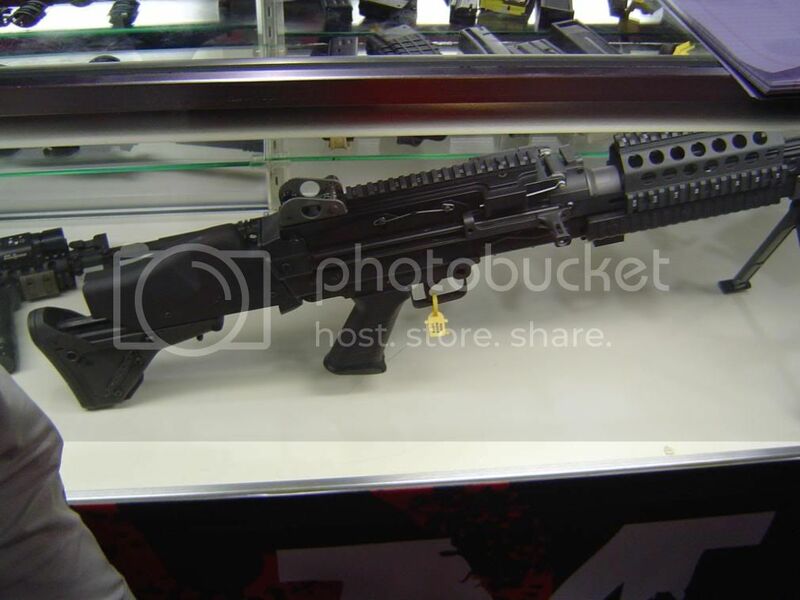 The buzzkill to all that was, U.S. Customs delayed releasing all the new CA items and they never made it to the Shotshow this year ;( But fortunately there was lots to see. I’ll be splitting up the news to Airsoft and Real Steel since in some cases there is crossover and it could get confusing. Please keep in mind, I only say a portion of the show, so if things are not reported on in this report, it doesn’t mean they didn’t exist at the show. Just means I didn’t have time to see. Spartan Imports / Classic Army – Let’s get the bad news out of the way. As mentioned above all anticipated new Classic Army items were held up by U.S. Customs and did not make it to the Shotshow in Las Vegas. But, hopefully will have products in hand sometime next week for pictures and brief reviews. 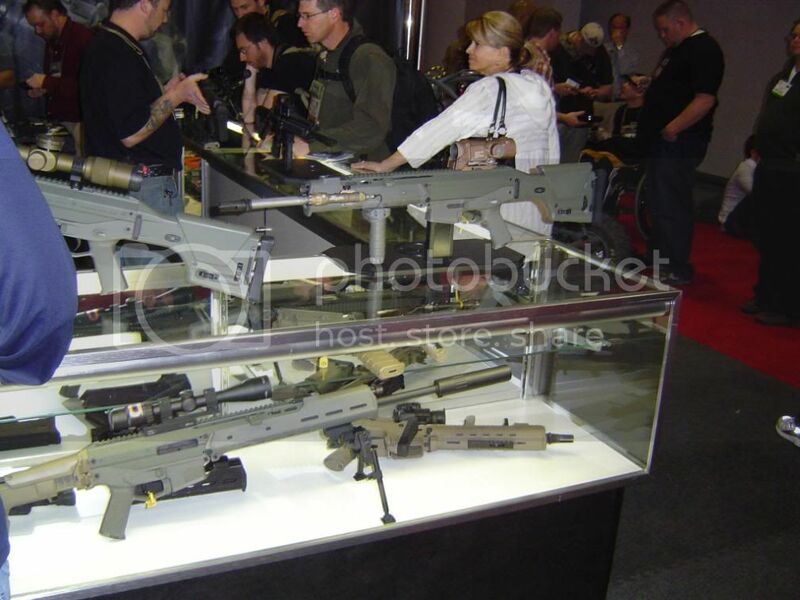 Magpul – Magpul made an impressive showing this year. I was able to speak 1 on 1 with Sam Lam, the head of Magpul airsoft, and was able to get a few interesting bits of news. The new airsoft MIAD grips will have changeable backstraps. Great news for SCAR owners (But still have to give props to Security Officer Allen for for being the first). Grip feels solid and will also include a newly designed floor plate that matches the PMAG floor plate in design. 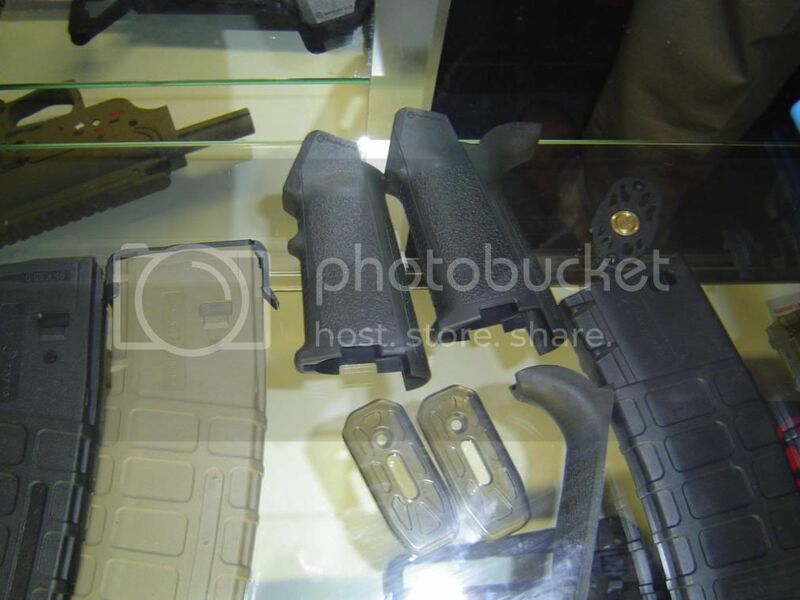 PMAGs – Airsoft PMAGs (Magpul Polymer Magazines) are almost ready for production. These will be midcaps only. Magpul Designed/Manufactured Lower (Notice the 1 piece design) See FDE Body Above AEG. 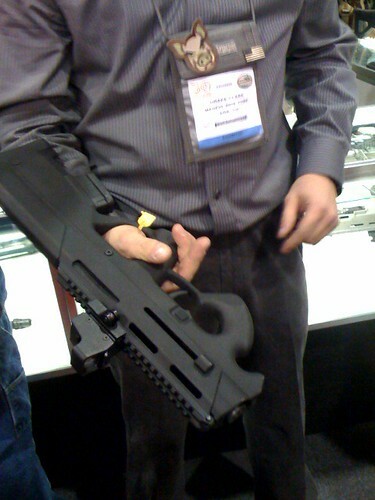 Magpul MOE Grip, Carbine Stock and possibly Handguards. There are plans to create an AEG based on the Magpul PDR. Sam is currently looking into mechboxes for the project. Magpul Masada/ACR AEG – Magpul is planning on releasing a Masada/ACR AEG towards the end of the year at this point. Internals will probably me based on the success/failure of the MOE AEG and the components used, that’s mentioned above. Look Whorify! 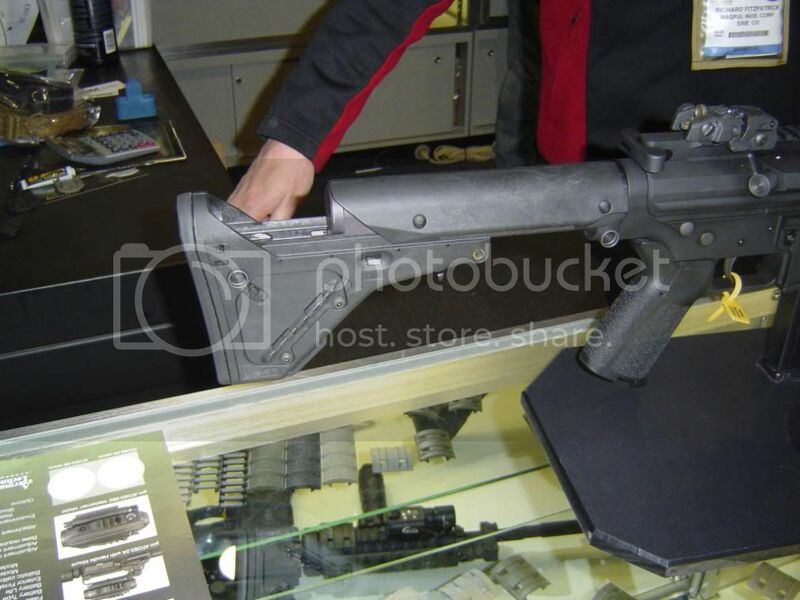 A Magpul UBR stock on an M249 AEG! Someone may have an M249 to Armalite carbine stock adapter soon. Magpul – More Magpul goodies on the Real Steel Front! Lotsa eye candy in their booth! FMG9 – Rich, Magpuls founder seen in the video here with FMG9. This is a Glock 17 Slide and magazine in a Magpul designed in a custom Magpul folding body. 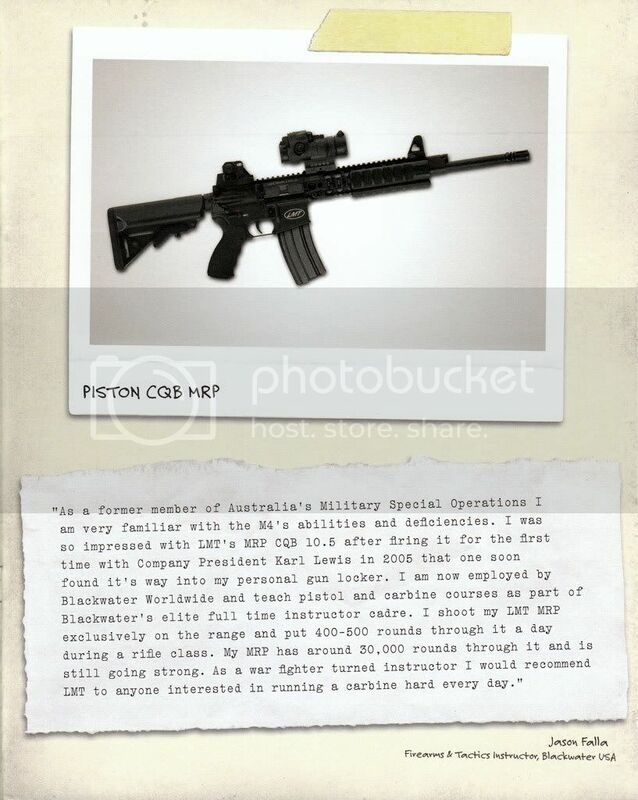 The Magpul PDR is a 5.56 SBR which was announced about a year ago has been refined a bit. Now it sports a Short 20 round PMAG. Still no official word on if/when it will go into production. PMAGs – PMAGs will soon come in 20 rounders and Desert Digital Imaged. PMAGs will also be getting their own integrated Ranger Plates. 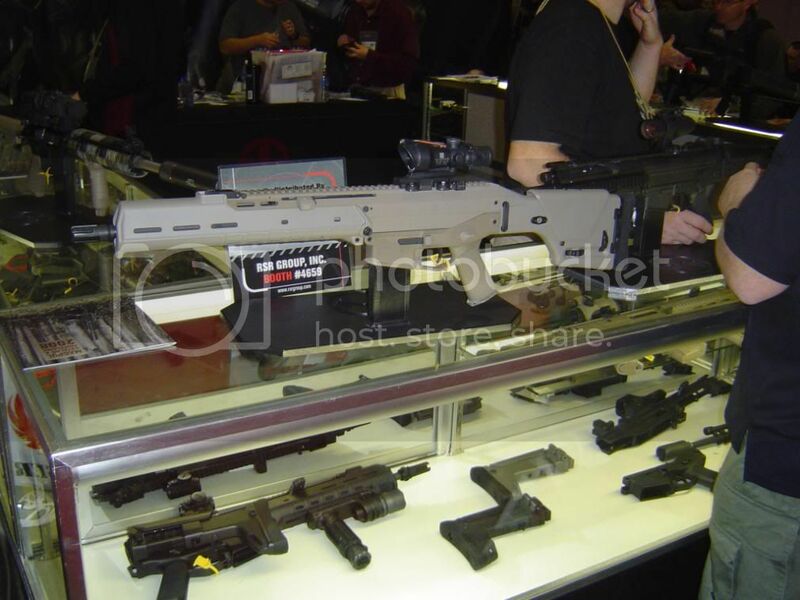 MOE (Magpul Original equipment) – MBUS BUIS (Set’s should MSRP for $130ish), XTM Rail Covers, MOE GRIP is a 1 piece MIAD style grip, ACS Stock, Carbine Stock and Replacement CAR handguards are all new for 2008. If you didn’t already know. 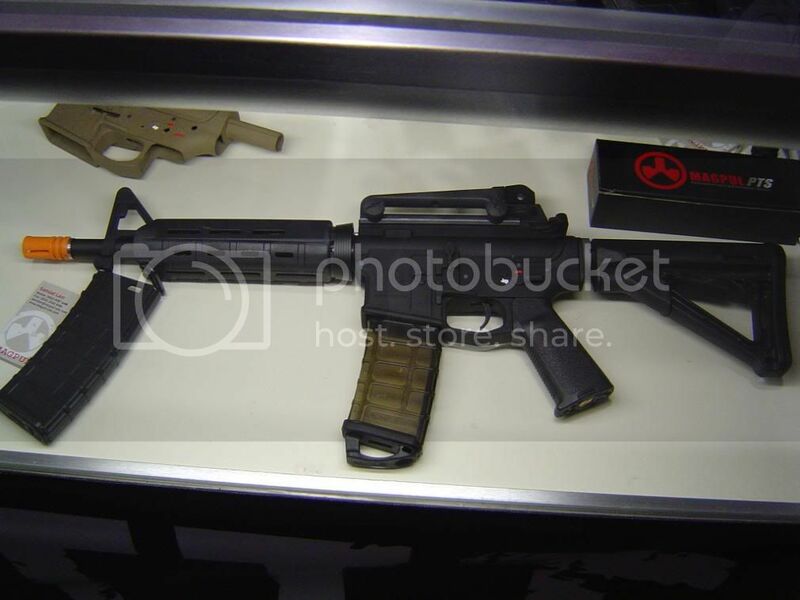 Magpul partnered up with Bushmaster (Longtime civilian M16 manufacturer) to produces their Masada assault rifle, and it is now called the Bushmaster ACR. The ACR is a multi caliber weapons system utilizing a gas piston and tool less quick change design and the gives ability for the shooter to change calibers. GSG-5 – The GSG-5 is releasing this year as an HK MP5 replica that shoot .22 caliber. While this is interesting due to the rising cost of ammo, the over all build was unimpressive. I’m not sure if it was the Germans just being German, or being the 3rd outta a 4th day show. But the GSG-5 was not as impressive in person as I was hoping. I’ve held airsoft Mp5’s that felt more realistic/robust then the GSG-5. 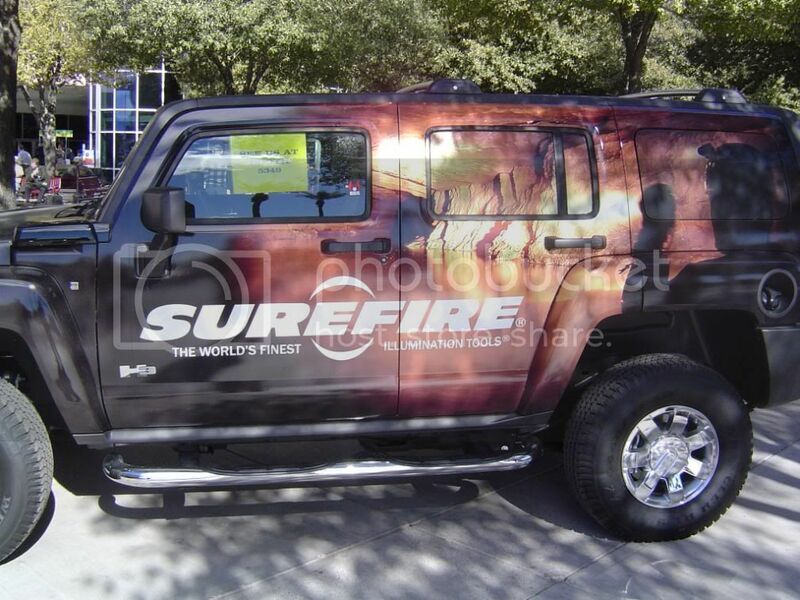 And it really didn’t help the sales guys in their booth seemed to care less of who was inquiring about their product. Honestly it didn’t feel like it should cost $499.00. 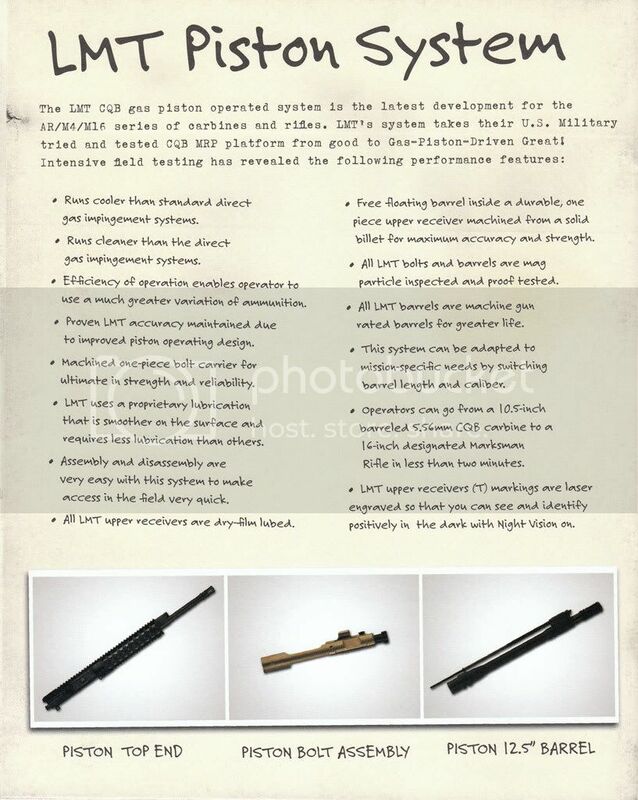 MRP Piston Upper – For user Gun Nut. Unfortunately I was asked to not take pics (By Shotshow staff, but for unrelated to LMT reasons), but the entire LMT booth was all about the MRP piston upper. Scans of flier are here and here. Of course the rifles felt awesome in hand, but I didn’t get a chance to shoot so I can only go by others reviews in quality and durability. Finally got to handle the FNP45. FN is saying a March release now, but who knows. After holding 1 it is now definitely on the list of future acquisitions. In person they feel solid. Feels on par with an XD and M&P, but w/o firing it’ll be hard to say how it really stacks up. Will definitely wait to hear how it’s accepted by the public when released. KRISS Super V CRB/SO .45 ACP Civilian Carbine – Welp I can confirm, in person it is equally awesome as it is hideous. It’s about a 10lbs loaded. Unfortunately I didn’t get to fire it and at the “Special” pricing I was emailed of $2395 + $45 shipping to FFL, kinda keeping it out of my league. That is me and Emory from Spartan Imports, talking with Sam Lam who runs the Magpul Professional Training Systems (airsoft) division, on new upcoming products. Some well shot videos of Shot 2008, by our pal the Milspec Monkey.